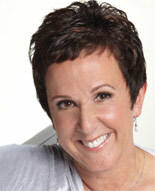 Join me and my guest Marcia Wieder, CEO and Founder of Dream University (www.DreamUniversity.com). In this show we will be talking about the importance of having dreams and how you can fulfill yours. Marcia Wieder is personal Dream Coach to Jack Canfield, co-author of the Chicken Soul for the Soul book series (www.JackCanfield.com). She is past president of the National Association of Women Business Owners and has often been at the White House where she has met Ronald Regan, Jimmy Carter and George Bush, Sr. She is on the Advisory board for the Make a Wish Foundation (www.wish.org) and is a columnist for the San Francisco Chronicle. Marcia has appeared several times on Oprah, The Today show and she has hosted in her own PBS-TV special. She has written 14 books and her latest is called Dreams are Whispers from the Soul.